Hart Shaw Business Recovery and Insolvency is headed by Christopher Brown, a partner at Hart Shaw Chartered Accountants & Business, who is licensed by the Institute of Chartered Accountants in England & Wales and is a Member of the Insolvency Practitioners Association and the Association of Business Recovery Professionals (R3). Hart Shaw’s newest partner, Emma Legdon, is also an Insolvency Practitioner licensed by the Institute and is a member of R3. Hart Shaw provides a nationwide service for its clients which range from PLC’s to SME’s, family business and individuals. With satellite offices around the country distance is never an issue. 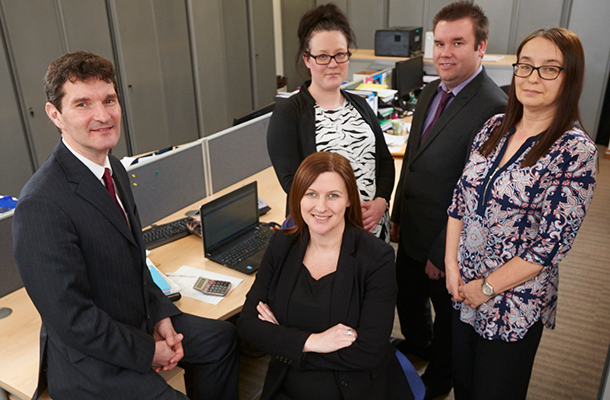 Hart Shaw can trace its history back to 1873 when Henry Hart started an accountancy practice. Following a merger in 1991 the firm became Hart Shaw and in 2004 it moved to new offices at Sheffield Business Park. Employing 75 people, Hart Shaw has expanded to become one of the leading provincial independent firms of Chartered Accounts and Business Advisors providing a full range of services to its clients. These services range from Audit, Accountancy and Compliance to specialist services such as Corporate Finance, Tax Consultancy & Planning, and Business Recovery & Insolvency. Hart Shaw is an active member of the UK200 Group of practising accountants and the International Association of Professional Accountants (IAPA).